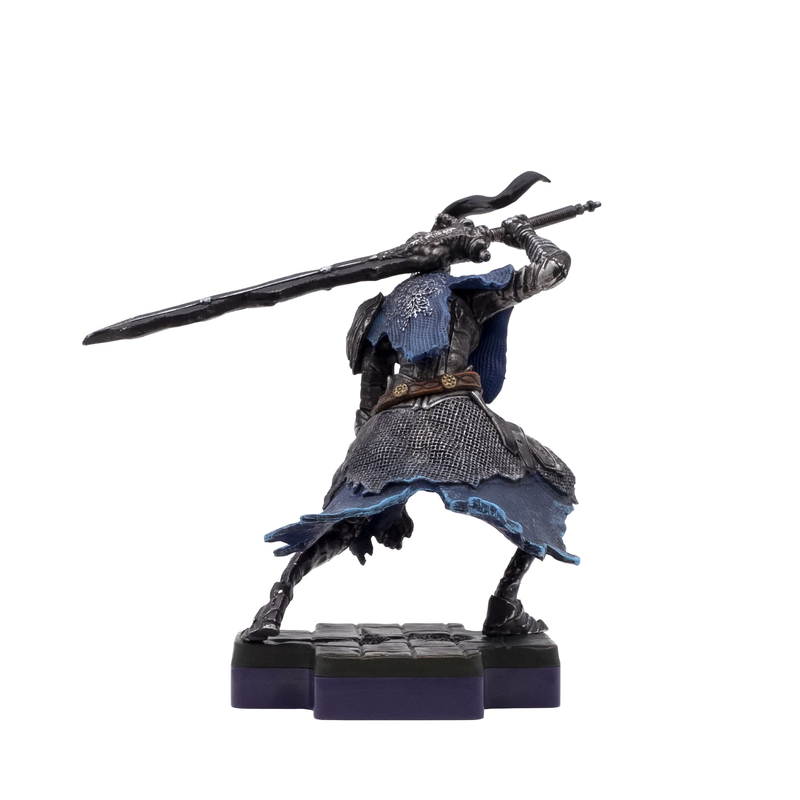 Pre-order TOTAKU Artorias today and let this warrior from Dark Souls stand tall. From the popular series Dark Souls, TOTAKU Artorias is a figurine of this brave warrior that is known for his iconic symbol of a wolf. Skilful with a Greatsword, Knight Artorias oozes darkness and danger and battling him is a hard task. Beating this boss involves an intense and dramatic fight, but think of tactics and you will be victorious. Pre-order TOTAKU Artorias today at GAME. Step into a world of unimaginable horror and brutal immersive atmosphere in Dark Souls. In this role-playing demanding game, you will fight against many to survive in this deadly universe. The TOTAKU Artorias is just one of the bosses you must combat and he oozes danger and darkness. Artorias was once part of the Four Knights of Lord Gwyn, but eventually becomes overwhelmed by the Abyss and sacrifices himself to save his companion. But he’s now lost his sanity, and this hero has since become a deadly warrior who is both dangerous and full of darkness. Pre-order this figurine today and let the legacy of this villain stand tall.